I attented an advanced ultrasound course in Brussels, hosted by Medipoint. 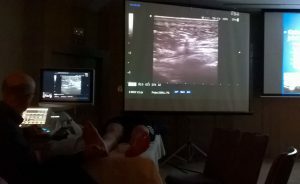 During a three day program great number of small structures were scanned, that usually are outside basic MSK ultrasound courses. More than half of the attendees were radiologists. About half of the time was used to practical training.